Products that people use with the aim of having flawless skin can have negative effects. Some fail to work, while others are pricey and have side effects. Aloe Vera is all you need to achieve this look, and it cheap and very effective. 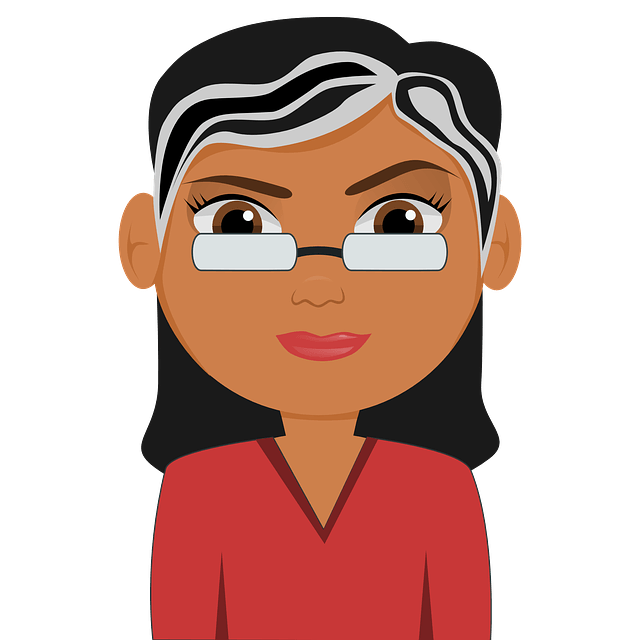 Is Aloe Vera really effective for Skin Whitening? Aloe vera consists of 150 nutritional components that include minerals, enzymes, lignins, salicylic acids, saponins, sterols, amino acids and anthraquinones. Aloe vera contains 96 – 97% water, it hydrates the skin without clogging the pores. Anti-oxidants like zinc, magnesium and selenium repairs and protect the skin from damage caused by pollution, harsh chemicals and sun. The minerals and vitamins present in aloe will lessen the pigmentation by reducing melanin production in the skin. It reduces oil, sebum content, while soothes and moisturizes the skin. The presence of amino acids combined with anti-oxidants help in reloading the collagen and elastin of the skin. Cut the aloe vera leaf into half, scoop out the gel and smash with fork. Apply the gel over the skin and let it rest for 10 minutes. Apply aloe vera gel 2 twice daily. This combination helps to reduce the pigmentation caused by pollution and dirt. Mix freshly extracted aloe vera gel and rose water. Apply this mixture on the skin then rinse with water when dried. Add a pinch of turmeric or a few drops of almond oil to attain extra benefits. In this combination, aloe vera hydrates the skin, honey nourishes the skin and turmeric lightens the skin. Make a paste by combining aloe vera gel, a pinch of turmeric and honey. Apply this paste over the skin. Let it rest for 20 minutes and rinse it off with lukewarm water. Lemons have natural bleaching (skin lightening) properties which lighten the skin, and aloe vera hydrates and nourishes the skin. Scoop out the gel from an aloe vera leaf. Extract the juice from 2 lemons. Combine aloe vera gel and lemon juice. Thoroughly cleanse the area and apply a thin layer of the mixture on the skin. After 15 minutes, rinse it off with water. You can store the remaining mixture in the refrigerator for 1 week. Fuller’s earth extracts oil and honey soothes the skin. Combine 1 tablespoon aloe vera gel, 2 tablespoons fuller’s earth, juice of 1/2 lemon and 1 teaspoon of honey. Stir well and apply this mixture over the skin. Rinse it off with water when dried. Tomato contains natural bleaching (skin lightening) properties, orange lentil clears excess oil and aloe vera hydrates the skin. Soak orange lentil over night and blend it to fine paste in the morning. Or alternatively you can use store brought orange lentil powder. Extract the gel from aloe vera leaf. Grate out the pulp from 1/2 a tomato. Mix orange lentil (powder or paste), aloe vera gel and tomato pulp together. Apply this paste over the skin for 10-15 minutes before rinsing with cold water. Repeat this process 2 – 3 times a week. Or add a little ginger juice or coconut oil to the mixture. Natural bleaching properties of cucumber lighten the skin and aloe vera hydrates the skin. In this combination, the lactic acid present in yogurt exfoliates the skin. Mix freshly extracted aloe vera gel, cucumber paste or juice and yogurt. After 30 minutes, rinse it off with cold water. You can also add honey to the mixture and follow the same process. Follow this method 2 – 3 times a week. Oatmeal soaks up the excess oil, dirt, dead cells and sebum from the skin. Blend aloe vera gel, oatmeal and cucumber together. Apply this blended mixture over the skin and leave for 15-20 minutes. Rinse it off with water by gently scrubbing in a circular motion. Grind 2 tablespoons of aloe vera gel, some cottage cheese, cucumber, dates and lemon juice to make a fine paste. Using a cotton ball, apply the mixture over the skin. After 15 – 20 minutes, rinse off with water. The presence of anti-oxidants in each ingredient makes this an effective remedy to reduce pre-mature aging. Mash 1/4 each of avocado pulp and a cucumber. Add 1 teaspoon each of aloe vera gel and green tea water. Stir well and apply this paste over the skin. After 20 minutes, rinse it off with water. This combination makes an amazing pack that helps to refresh, detoxify and remove impurities from the skin. Blend some mango pieces and mix with aloe vera gel. Apply this over the skin and leave for 20 minutes. Almond helps to treat damaged skin and prevents rapid aging. Soak almonds overnight and blend them to make a fine paste. Mix in aloe vera gel and apply on the skin. This method works wonders in restoring moisture and glow. It is beneficial for people with a combination skin type. Mix freshly extracted aloe vera gel with Shea butter and apply over the skin. Let it rest for 15 – 20 minutes and rinse it off with water. Or add 1 teaspoon of olive oil to the mixture and follow the same process. Repeat the process 2 – 3 times weekly. This combination repairs the damage caused by the sun and replenishes moisture content in skin cells. Combine aloe vera gel and gram flour to make a fine paste. After 15 – 20 minutes, rinse it off with water. This combination nourishes the skin and helps in reducing wrinkles and fine lines. Mix 2 tablespoons of aloe vera gel in 1 tablespoon of orange juice. Let it rest for 10 minutes and rinse it off with water. This process reduces skin tan caused by sun exposure and replenishes the skin cells. Mix aloe vera gel and sandalwood powder to make a fine paste. Apply this over the skin and let it rest for 15 minutes. For quicker results, follow the process 3 times a week. This combination forms an excellent exfoliating pack which removes the dead skin in the safest way. Mix 2 tablespoon of aloe vera gel and 1 tablespoon of rice flour. Stir well and apply this pack over the skin until it is completely dry. Rinse off with water by gently scrubbing in a circular motion. Dry and grind neem leaves. Mix 1 tablespoon each of aloe vera gel, neem leaves powder and honey. Apply this over the skin and leave for 15 minutes. Or use fresh neem leaves paste instead of neem leaves powder. Grind cabbage by adding some water. Mix 2 tablespoons of cabbage paste and 1 tablespoon of aloe vera gel. Wash the skin with lukewarm water and apply a thick coat of the mixture. After 15 minutes, wash with cold water. This combination not only lightens up the skin but also provides a glow and softness. Mix equal quantities of apple juice and aloe vera gel. Stir well and apply a thin coat of the mixture over the skin. This combination lightens the skin and also revives it. Combine 1 teaspoon of aloe vera gel and 1/2 teaspoon of vitamin E.
Massage it over the skin using your hands. Let it rest for 30 minutes then rinse off with water. Repeat this process once weekly. 18. Aloe Vera with Milk. This process makes an effective massaging cream for skin lightening. Mix equal quantities of aloe vera gel and milk. Stir well and gently massage this over the skin. Let it rest overnight and rinse it off in the morning. You can also soak saffron strands for few minutes in the milk and add this milk to aloe vera and follow the same process. Apply this mixture daily before going to bed. Blend some fruits of your choice and add 1 tablespoon of aloe vera gel. After 30 minutes, rinse it off with water. Aloe vera gel gets spoiled when exposed to air and sunlight, so be quick and careful when extracting. As soon as you extract the gel, use it immediately. It is important to remove the yellow liquid that oozes out while extracting the gel as it is toxic. When aloe vera is directly applied, people with sensitive skin may experience irritation. So dilute with water and do a patch test first. Aloe vera can be taken orally, but limit intake to 1 or 2 tablespoons per day. Women who are pregnant, planning or breastfeeding women should avoid intake of aloe vera. Children below 12 years should avoid the intake of aloe vera. Always be hydrated and consume a proper diet. Now it’s time to kick start your schedule of skin whitening with aloe vera or you can check out this post for more DIY Home Remedies For Skin Whitening. Share your experience with us. Is it helpful to use a mixture of alone Vera and orange from Monday to Wednesday and continue with alone Vera alone for the rest of the week? ? Yes, you can. Try it and share your experience. I see a lot of remedies for skin lighting. Which one with aloe Vera would you recommend the most to reduce red hyper pigmentation? Can I mix aloe vera, turmeric, honey and sandalwood to get rid of acne scars? how often do I use it? Yes, you can mix the 4 ingredients and use it to get rid of acne scars. You can use it 3 – 4 times in a week until you achieve the results. Can i use orange juice with aloe vera gel on skin. What will the result. Yes, you can. Orange contains a lot of vitamin C which helps to lighten the skin and increase its elasticity. While aloe vera hydrates and nourishes the skin. My skin already burned by sun . so You will give any suggestions for me? If I am only using lemon for lightening of scars ,how long do I have to use it? It depends on the person’s skin texture, food habits and healing capacity so it is difficult to tell the exact time frame. However, it takes few weeks of time to see the improvement. Yes, you can. Lemon juice contains bleaching properties which help to lighten the skin. I currently use a skin whitening lotion. When I start this aloe vera schedule, should I continue using the lotion or can you suggest another kind of lotion to use? You can continue applying skin whitening lotion after the aloe vera schedule. Yes, you can. Slit the aloe leaf lengthwise and scoop out the gel from inside. Apply the gel on the affected areas and leave it to dry completely. Rinse off with water and pat dry. Yes, you can try the combination and repeat it regularly to achieve the results. How can I use alovera for that problem? Can I keep aloe vera gel for a entire day..When i go outside in a sun??? Yes, you can apply aloe vera all day and go outside in the sun. Aloe vera actually acts as sunscreen and prevent the damage caused by the sun. Avoid using it further as your skin might be allergic to it. As per your description, we are not sure of the reason behind the rash. Can you provide information related to it? so that we can give the solution. Yes, you can use aloe vera gel. Aloe vera contains anti-oxidants like zinc, magnesium and selenium which repairs the damaged skin caused by pollution, harsh chemicals and sun. I have scars on my fore head and 2 to 3 on my cheeks?what should i use ? You can apply aloe vera gel daily at least once to reduce the scars. Apart from that exfoliate and moisturize the affected areas regularly. Yes, you can try the combination. You can store it in refrigerator for not more than 1 – 2 weeks. You may be allergic to other ingredients used in this combination. Avoid trying this combination and try any other mentioned in the article. I removed aloe vera from plant n grind it…. it became foam….. i than coverd it with plastic foil n kept in fridge for a day n it converted into gel slimy type…. n than i mixed those ingredients….. is something wrong with this method….? Can I mix aloe Vera , honey , cucumber and apple together? Yes, you can mix aloe vera, cucumber, apple and honey together. All these ingredients are effective in skin whitening. Can i use aloe vera gel directly by rubbing it on face by just spiltting it from between without scooping out the gel from the leaf?? Yes, you can directly rub the gel by splitting the leaf without scooping it out. can we mix aloevera gel,, besan, ,green gram,,turmeric, and vitamin E together and use as a face pack. It is better to use ripe mango for skin whitening instead of raw ones. Using aloe vera twice daily can bring a fair complexion? Yes, the beneficial properties of aloe vera like antioxidants, minerals, amino acids and vitamins helps to nourish, moisturize and lighten the skin. Yes, you can try the tomato and aloe vera combination to clear the dark spots. How can I use aloe vera jel to reduce wrinkles and also to whiten my sensitive skin?? Try 1, 4, 6 or 12th method mentioned in the above article as they help to reduce wrinkles and white the sensitive skin. Sir my face has a lot of acne scars and pimples. When i apply aloe vera on my face , firstly pimples got reddish then after sometime it settles down. What should i do? Initially, if the redness increases it is actually a sign that aloe vera is working in treating them. So, don’t worry it will settle down and heal in few days. The time frame for the results depend on your skin texture and skin immunity so, we recommend trying it regularly until you achieve the results. Apart from that exfoliate regularly, apply sun screen, drink plenty of water and eat nutritious food. Recently burnt my upper lip as I waxed it, the skin peeled off too leaving a dark moustache like. I am currently using Aloe Vera Gel (Banana Boat). What else can I mix on it to lighten my skin for a faster result? You can try 3rd method (aloe vera, honey and turmeric) to reduce the darkness and healing scars. Yes, just aloe vera and honey combination is also effective in lightening the skin tone. Can I use lemon juice,rosewater & aloe vera gel for treating my sun tan of past 6-7 years & lighten my skin? Yes, you can. Apart from that exfoliate and moisturize the areas regularly. Can i mix aloe vera, rose water and glycerin? what would be the formulation for that? Can I mix aloe vera gel ,lemon juice,tomato juice, honey, oats powder, turmeric powder and apply on my oily face?? As all ingredients are natural and don’t pose any side effects, you can try the combination to lighten your skin. can I apply it daily.?? Can I mix aloevera gel,oats powder, honey, lemon juice, tomato juice,pinch of turmeric powder and apply on my oily face.pls reply.. I don’t hav fresh aloe to use so im trying the store bought aloe veranda gell in a tube. I purchased at herbal shop. Can I use this with honey an tumeric to lighten dark marks on my skin? Please advise. pls I want to knw if aloe vera gel can be mixed with a personal cream bought from d market and does it work for stretch mark by so doing ? It would be better if you just apply the aloe vera directly on the stretchmarks instead of mixing it with chemical based personal cream. The effectiveness of freshly extracted ones is more than store brought ones. However, if you don’t have an aloe vera plant then you can use store brought aloe vera gel as well. all suggestions is good but tell me which one is better than others to get fairness on face? You can try 1, 2, 5, or 9th method mentioned above in the article. Please give a home remedy for pimples and blackheads cure by using aloe vere gel. .
You can try any remedies mentioned above in the article. Hello. I’m black and I got HORRIBLE tan lines. It’s been there there for a year! I want to get rid of them, but not with bleaching creams. Can aloe vera alone fix my tan lines, or what is what is the best combo that can fix it quickly? Also is there proven ways that can help grow hair quickly? Thanks! Do you think aloe vera, lemon juice, turmeric, and rosewater will lighten my skin well? Or is that too much, and I should just leave out the rosewater? How long will the lightening take? Yes, you can use the combination of aloe vera, lemon juice, turmeric and rose water to lighten the skin. It is difficult to mention the time frame as everyone is different. However, you will observe improvement in few weeks. Where can I find aloe vera, lemon juice, turmeric, and rosewater in its PUREST form. I don’t know know where to start, and I want to make sure I get only the most natural materials. Pls can I use aloe vers gel, tumeric and lemon mix together and refigirate it and use it as my cream for whitening? Yes, you can. But it is better to use freshly mixed mixture for effective results. You can mix turmeric, honey, rose water or lemon. You can find more combinations and detailed description in the article. tanks so much 4 d effective articles,my quesn is dat can I use aloevera 4 eczema. Can I use only aloe vera for face brightening…? Is it works or shall I go for other methods mentioned above…? Yes, only aloe vera can also help to brighten the skin. But make sure to follow the method regularly until you achieve the results. Can i apply aloe vera, potato juice and honey on face? 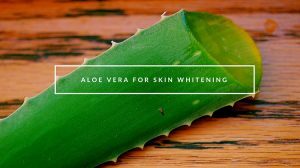 Can I mix aloe Vera and coconut oil for skin lightening? can i exfoliate my face with aloe vera gel and lemon, than use aloe vera with milk to overnight with. I want to be fair . It hurts when somebody troll me😢because of my skin colour. Please give any effective body whitening lotion,packs naturally . Can i mix aloevera gel,pistachios,almond,turmeric, vitaminC capsule to make A skin lightening cream? How long can i use this mixture to get desired result? Hello, Thank you for the article. I have got a couple of questions, please share your thoughts on this. I have got dark lips because of smoking. I have started applying Glycerin + rosewater in my lips. Will it help in bringing back the original colour(red). Also I have started using rose water + glycerin + aloe vera which I use almost twice on a daily basis. Is it okay and will it help in bring back the glow in my face. My skin got black due to winter and also due to uses of bleach.pls. suggest me to remove these black spots. Can i use aloe vera gel available in the market instead of fresh? Can I mix aloe Vera with blue seal Vaseline? Can I use aloe Vera gel and milk together? Which milk I can add? Can I use essential orange oil and aloe on my face? How long do you have to use aloe vera alone before results start to show? Also I heard that aloe vera and brown sugar works as a skin lightener is this ture?